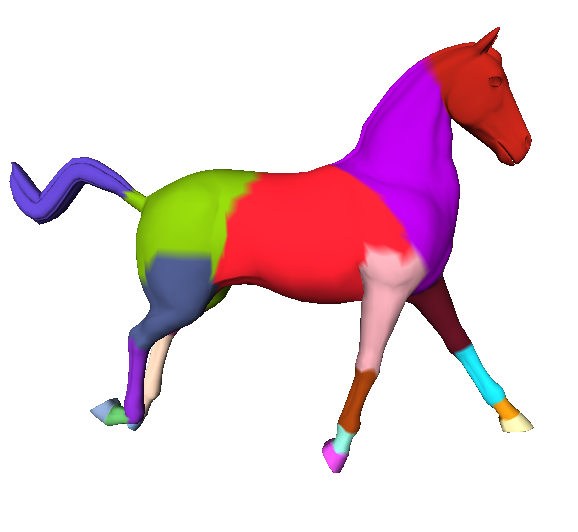 In this project we focus on motion-based segmentation on mesh sequences. Contrary to previous works, we do not restrict to temporally coherent sequences: we deal with any mesh animation. We are able to segment a sequence according to either rigid or uniformly stretched motions. We investigate how the motion, in a mesh sequence, is visually perceived by a human being. This is a joint work with Ron Rensink, professor in the Psychology and Computer Science departments at UBC (Vancouver, Canada).